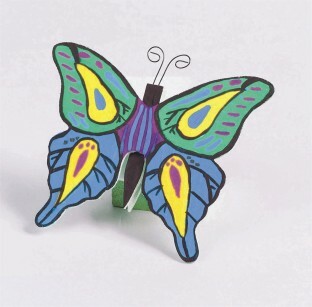 Craft wood butterflies include wire antennae and a clothespin body. Add magnetic tape and you've got a pretty note holder for the fridge. Finish with paint, stain, markers and more. All decorating materials sold separately. 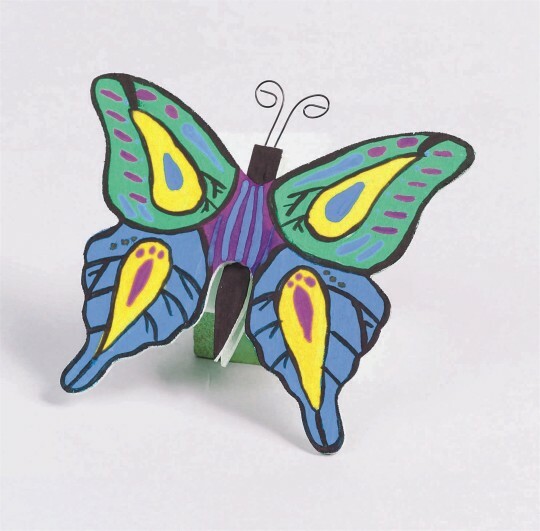 These craft wood butterflies include wire antennae and a clothespin body. Add magnetic tape and you've got a pretty note holder for the fridge. Finish with paint, stain, markers and more. All decorating materials sold separately. 5-1/4"L x 4-1/2"H.